Welcome back to the third week of demystifying skin care fallacies. This week, we will examine a few of the most common acne myths circulating around, and tell you about what really happens (or doesn’t happen) with your skin. As always, if you have any questions or comments, we welcome you to leave them on our blog so we can continue this discussion, or you can contact our offices to book a consultation as well. Scrub your face with soap to keep it keep it health and remove acne. Did you know that your skin is the largest organ in your body? And since it’s on the outside, it has layers of oils to protect it and acts like a barrier to keep the bad stuff out. If you scrub your face too much, with soap or otherwise, you’ll actually be removing these barriers and oils, leading to rashes and sometimes worse. It is recommended that you use instead a gentle cleanser and apply a facial moisturizer (and night) or facial sunscreen for daytime. Wearing too much makeup can cause acne. There is actually no scientific evidence that has proven that wearing makeup (a little or a lot) will cause acne. Now, if you don’t remove the makeup every night, that’s a different story. But if you take proper care of your skin, you won’t have too many issues. Keep in mind, that some people might have reactions when using makeup or other facial products. The cause of this is typically because an individual’s skin will react to one or more ingredients poorly thus resulting in a negative manner. If you’ve had this happen before, you should definitely test out new products before you wear them to see what you might be reacting to, and it is advised to visit your dermatologist to see if there are any underlying issues as well. Adults don’t get acne, it’s only for teenagers. Regardless of your age, no one is immune to acne. Just because you had acne as a teenager, doesn’t mean you won’t have it as an adult. Acne is typically related to hormones which means puberty, during your menstrual cycle and even up to menopause, there’s just no escaping it. Men, however, are more likely to no have adult acne as their hormones level out after puberty. Check one off for the Y chromosome. Popping pimples helps clear them faster. Sorry, not true. Though it might be gratifying to release the pus from a pimple, the reality is, you’re not removing all of it. Some of the pus might actually just go deeper into your skin, leading to inflammation, scarring and more issues down the road. And by moving some of the pus under your skin, the pimple will just reappear in-and-around the same area a few days later. But if you can’t help yourself, there is a tool you can buy at most beauty supply stores called a “comedone extractor.” These little gizmos will help apply pressure to the area and then as you roll it on your skin, the pus will be extracted (hence the name). You only get blackheads if your skin is dirty. Here’s the lowdown on blackheads, it’s actually not dirt. This is what happens: if your skin produces too much oil as a result of your hormone levels, dead skin cells (which we all get) will end up clogging your pores. 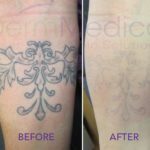 As the oil and dead skin cells near the surface of your skin, they oxidize and turn black. Hence, blackheads. Because the problem is at a cellular level and deep inside your skin, it cannot be scrubbed away. If you use a cleanser with a salicylic acid component (or BHA) this will help to exfoliate your skin properly and at a deeper level, removing the excess oil and dead skin cells where they are causing the clog to begin with. 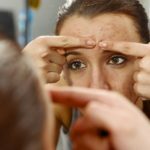 There are many myths about acne, and it seems that everyone has a solution. 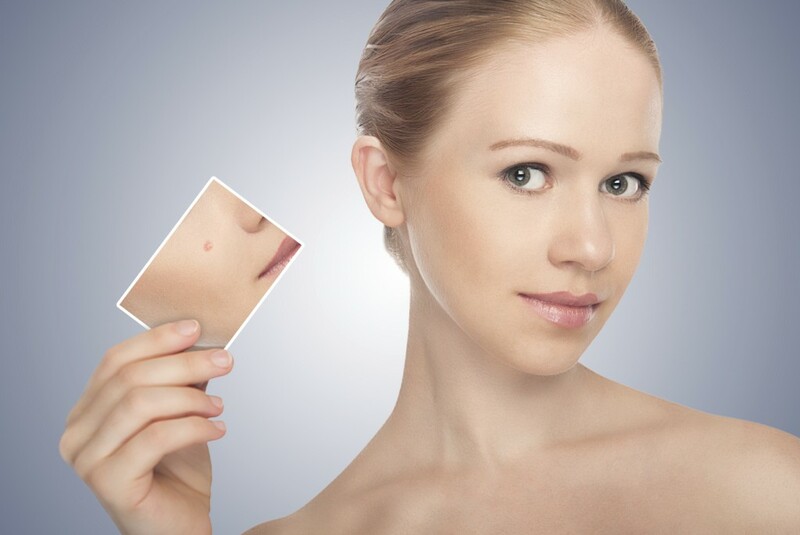 If your acne continues to cause you concern, check out our page on acne and call for a consultation with Dr. Crippen today.